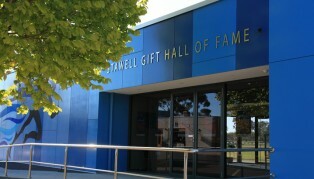 The Stawell Gift Hall of Fame, located at Central Park in Stawell, is a must-see attraction for school groups, locals and visitors alike. 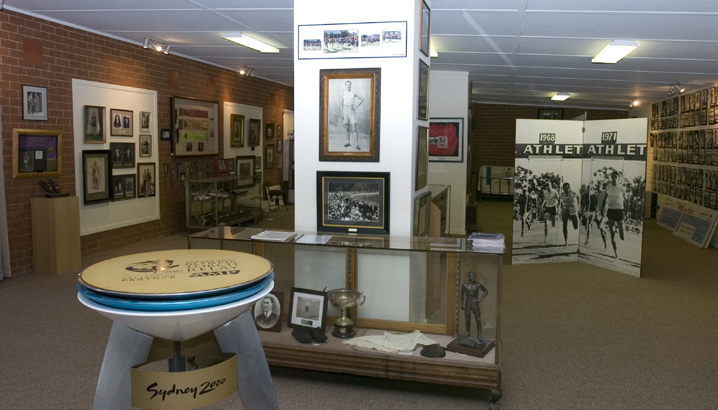 An integral part of our nation’s history, the Hall of Fame is a veritable treasure trove, complete with artefacts, memorabilia, multimedia clips and archives dating back to the inception of the Gift in 1878. Having recently received a facelift, the museum contains 130 years of history presented in a modern facility. Click here to take a virtual tour of the Stawell Gift Hall of Fame. The winner of the old man’s race in the inaugural Gift back in 1878 was awarded a pig as first prize. Only five females have raced against the men in the Stawell Gift, including Olympic champion Catherine Freeman. A magnificent vision library of Gift finals is available for your viewing pleasure. Search the touchscreen to look up races from the 1950’s through to current day – including Gift finals and some of the other great moments that make up the long and colourful history of the Gift.